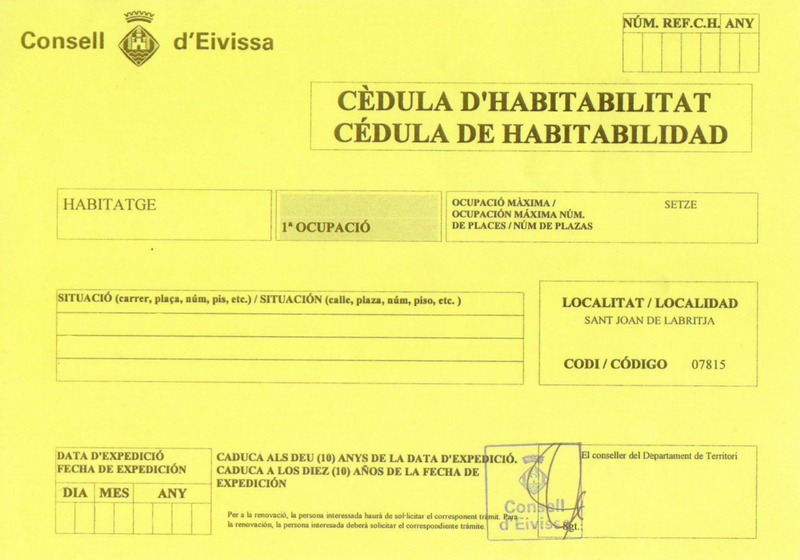 since 27 June 2018 notaries have been obliged to check the existence of the certificate of occupancy (Cédula de Habitabilidad) in the notary purchase certification of a property. The fact of the absence is expressly stated in the contract and the buyer must agree in written form that he wants to purchase the property despite the lack of this document. This procedure causes great uncertainty for prospective buyers, but suggests that a property without the Cédula de Habitabilidad is not entirely legal. Even now, visits are cancelled upfront, if it is not clear whether there is a certificate of occupancy or not. In order to guarantee a successful and smooth sale, we ask you to urgently check your documents for the presence of this certificate and send us a copy as soon as possible. Should you not be able to find it, please contact your dealer immediately or your lawyer, gestoría, architect or the seller through whom you have purchased your property and ask for the appropriate document to be sent to you.